The change in seasons calls for a change in flavors, and we’ve created a list of our favorite, must-try recipes for the fall. Full of flavor and wholesome ingredients, we know they’ll be a hit with family and friends. Hearty and wholesome, this roasted vegetable pasta salad with sweet potatoes, parsnips and carrots, will have you coming back for more. 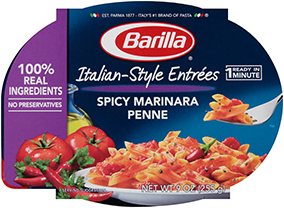 Loaded with veggies, and mixed with Barilla Roasted Garlic Sauce, this flavorful meal is perfect for autumn. Simple, yet delicious! This 5-ingredient butternut squash pasta dish is a fall staple. Just heat Barilla Creamy Alfredo Sauce, add in pasta, butternut squash, and a touch of Parmesan cheese for a tasty vegetarian meal. Nothing says comfort food quite like lasagne. 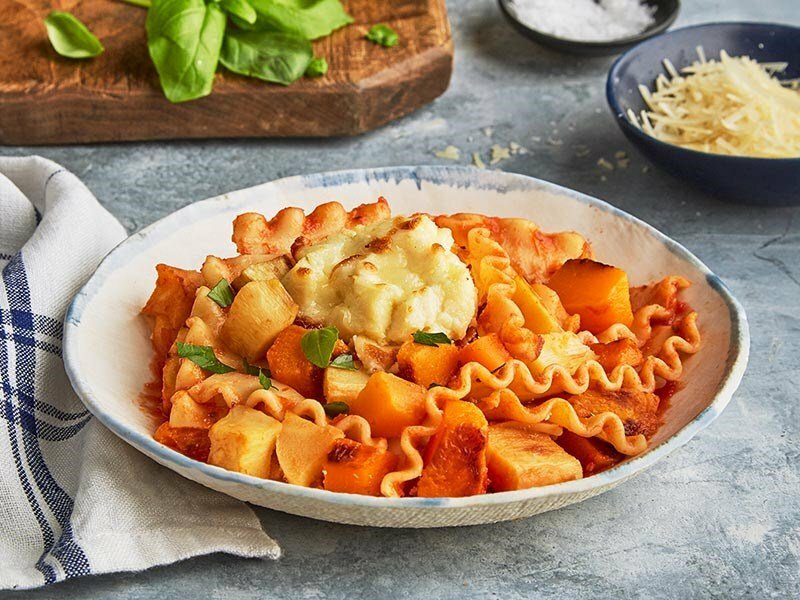 This twist on classic lasagna, layered with fall vegetables, gooey cheese, and Barilla Roasted Garlic Sauce, will be an instant hit with your family. There’s nothing like a pasta bake to kick off fall! This must-try roasted stuffed shells recipe is full of vibrant flavors from savory bacon to sweet apples. Your dinner will be a winner with this delicious dish!